WorldMovieStore - Legend of the Guardians Sinopsis. Legend of the Guardians: The Owls of Ga'Hoole, 300 director Zack Snyder's debut animated feature, is based on Kathryn Lasky's juvenile novel series Guardians of Ga'Hoole. Soren (voice by Jim Sturgess), a young owl, has grown up listening to his father's stories about the Guardians, a legendary band of heroes who fought to keep owldom free. But when he and his jealous older brother Kludd (Ryan Kwanten) are kidnapped, Soren learns the evil Pure Ones are once again plotting to enslave owlkind. Escaping from their clutches, he and a typically mismatched group of friends set out to find the Guardians, the only owls capable of defeating the Pure Ones. --Charles Solomon. Read More Sinopsis. 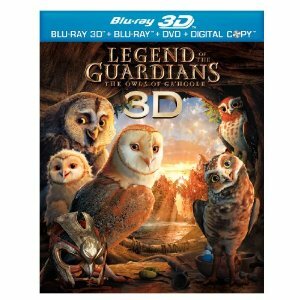 0 Response to "Blu-ray Release Legend of the Guardians"